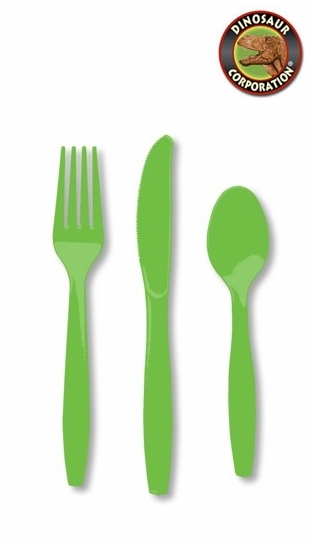 One 18 count package of Premium Quality Lime Green Plastic Cutlery. Assortment pack is perfect to fulfill your dinosaur birthday party needs. * 6 forks, 6 spoons, and 6 knives per set.